I think it is Diana , get so confused between Aurora. Has anyone noticed what appears to be several 100mm guns poking out of the hull? They don't function, so what are they and if they are guns why don't they fire? IIRC she does have 12 75mm secondaries but the range is so short you will hardly ever see them fire. Those are gun ports for 75 mm guns. Diana had 24 in total, but for some reason the in-game version has only 12. Balance purposes I guess, but then again it's a garbage ship anyway (at least according to @LittleWhiteMouse's review), so even if it had 12 more secondaries it probably won't change anything. "she's not a terribly powerful cruiser by any stretch of the word. Still, the Diana is a fun if simple ship and her rarity makes her fun if only for the novelty." That's not saying it's garbage, but rather meh. It used to be much stronger but changes to captain skills and new ships have left it powercrept into mediocrity. However, it's not garbage, and nowhere in Mouse's review does it say that it is. Availability on NA Server: ONLINE STORE, Also available for doubloons. 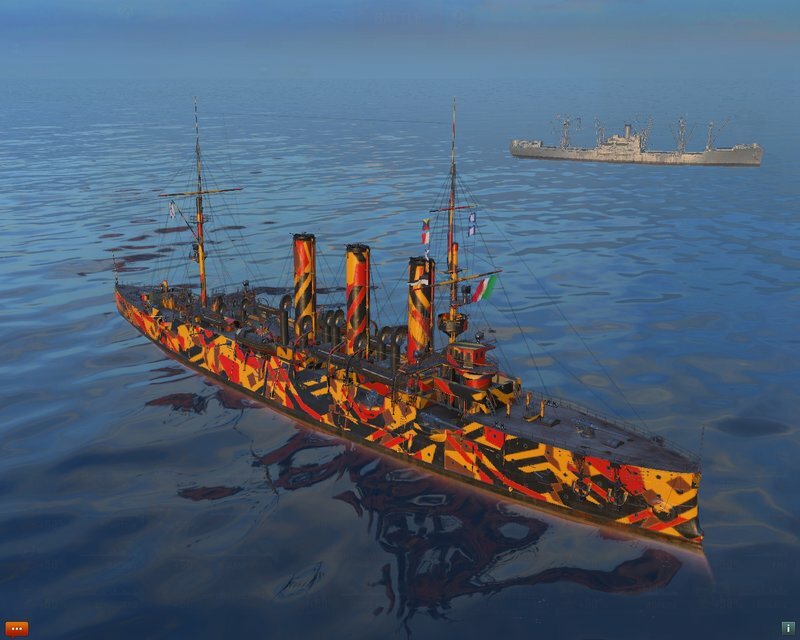 Quick Summary: An eight-gun Pallada-class protected cruiser with a large hit point pool for her tier. Release History: First on Sale from May 25th to September 6th, 2016. Sold in various Black Friday bundles 2016. Sold December 2nd to 9th, 2016. Sold December 23rd to January 2nd, 2017. Sold July 7th to 10th, 2017. Available Black Friday 2017 from November 22nd to 27th, 2017. Became available for doubloons on December 20th, 2017. Same with the Albany. She has several 6-pdr quick firing Hotchkiss guns in casemate and turret. 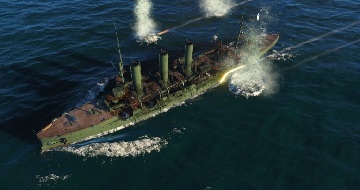 Anti sub and torpedo boat - too small for anti-surface use in WoWS. Too bad though they'd penetrate 6mm with a range of 3.7km at 25 / minute. Ah, wasn't in the original article you linked, then, hence my disagreement. I now retract that in acknowledgement of data. To be fair, though, none of the T2 cruisers are any good. I miss Diana back before the powercreep when it was good. Indeed, though I don't think (I could be wrong) anything has less than 8mm of armour in wows, plus the damage would be around 163 for a full pen. Tier 2 and 3 DD's and most tier 3 CL's superstructure, bow and stern plate is 6mm. But I can see why WG didn't want to activate the smaller secondaries. It must have made for interesting discussions about including them in the model. I'm glad they were included even if not used. 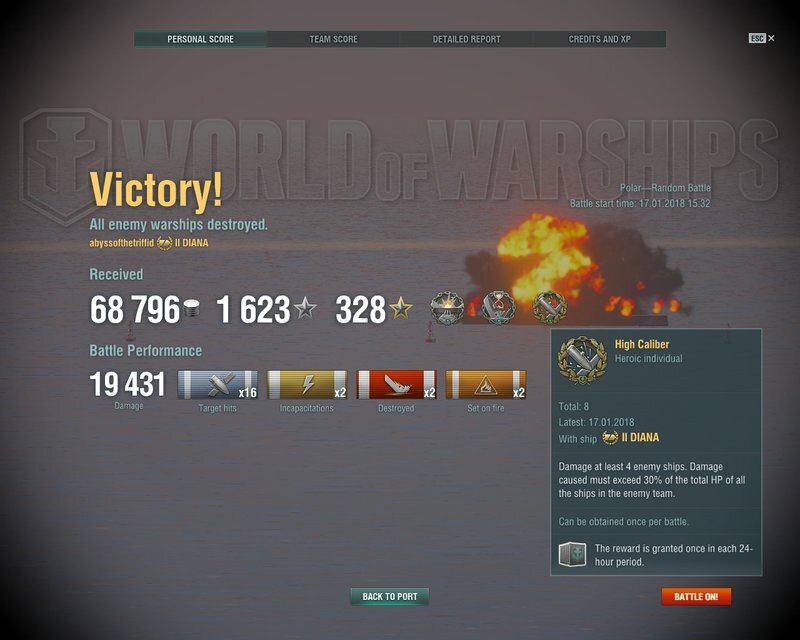 I've often wondered how WG determined damage values. Is there a formula for damage? Diana is a fun ship and the secondaries are awesome. It's tied to shell weight and bursting charge as far as I know. 6 lb guns you can compare to the 12 lb guns on Tachibana, and halve the damage, I suppose. I think someone may have done the calculations, but I don't remember where. Of course, there's always the HE option. Somehow Diana 75mm secondaries have better HE alpha than Tachibana's 76mm main guns. Go figure. Wish she had all 24 secondaries though. No idea why WG chose to model the sponsons with their hatches closed, leaving only 12 secondary guns on the main deck operable. Diana could've been a Russian Mikasa.